Jane is a designer/maker working with textiles, free machine embroidery, hand stitching and paint. Jane studied Graphic Design at Norwich School of Art and worked in the industry for around 15 years. She worked for the BBC for seven of those years, on print projects for TV and radio.Textiles have now taken over from paper and Jane now enjoys creating wearable handcrafted pieces using free motion embroidery. 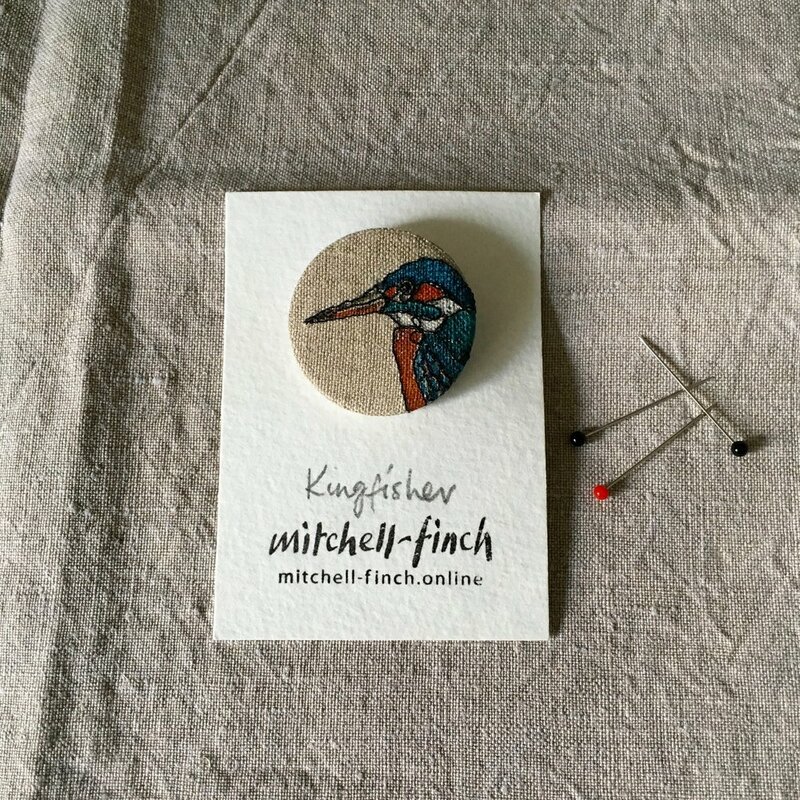 She works with felted fabrics, vintage linens and recycled scraps, where possible blending felt and fibres to gain the correct mix of colour and texture. Nature is a constant theme in Jane’s work, finding inspiration during many dog walks around the Suffolk countryside and the coast. Drawn to anything a little bit quirky and different, she is constantly striving for new ideas and pushing the boundary of what can be created with stitch. The works illustrated below are intended to give you a taste of what the gallery has to offer, please email us on info@cambridgegallery.co.uk or call us on 01223 324222 to find out which pieces are currently available. Prices range from £20 - £30.